After the briefest of honeymoons in 1968, Pierre Trudeau's government clashed with Alberta’s conservative interests, generating antagonism that persists to this day. Trudeau’s Tango, an insightful personal history, traces the tangled political relationships that developed when the charismatic statesman confronted the forces of oil and agriculture in Canada’s West. Liberal insider Darryl Raymaker recounts an attempt to broker "a marriage from hell" between the federal Liberal Party and Alberta’s Social Credit government. The failure of this union is one of the reasons why the Liberals continue to struggle for favour in Alberta. 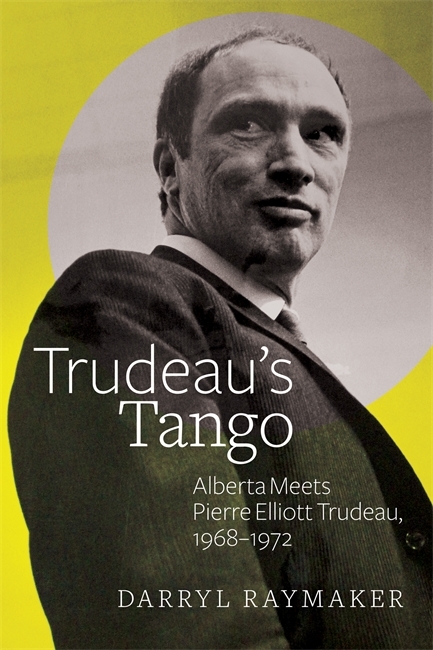 Part memoir, part chronicle, Trudeau’s Tango is a timely book on a provocative matter, perfect for anyone interested in Canadian history, politics, economics, or the Canadian zeitgeist of the late 1960s. ...Darryl Raymaker, has recently written an excellent book about Alberta and the Trudeaus, called Trudeau's Tango. In his compendious book, Raymaker reminds everyone that the Trudeau name has always been controversial in Alberta—but respected, too. The Trudeau name gave 'Alberta Liberals hope,' Raymaker writes. The father, then—like the son, now—'was a man for his time—new, youthful, superbly confident, tough and equally articulate in both official languages.' What made Pierre Trudeau appealing in Alberta in his era makes the son just as appealing in his.